Invitation: SpilBar 15: Free Lunch? Join us for SpilBar 15 where two men boldy go, where millions have gone before – but not with the same insight, brainpower and perspective. At SpilBar 15, game industry veterans Søren Lundgaard and Rune Vendler will give their personal views on the free-to-play-model for games and how it is changing the way we play, produce and percieve games today. Furthermore there’ll be a showcase of upcoming Danish games in the lobby for all to play after the sessions – see the SpilBar Open Call for more info. Six months ago Søren was of the opinion that any game based on In-App Purchases was probably just derivative drivel not worthy of my time. But then he decided to prove himself wrong: Turned off his consoles, closed Steam on the PC and then turned on the tablet with the mission of playing as many of the top F2P games as possible. He also played them with the intention of not spending a dime of them. In this talk, Søren will tell about his journey and how it totally changed his perspective on the significance of F2P games and how they are consumed. Using the recent F2P launch of Smoothie Swipe as case, the talk will go behind the scenes of the last stage of pre-live development, and on to the first phases of the launch. The takeaway will be an insight into our approach for F2P development in general, as well as some lessons learned specifically on this project. 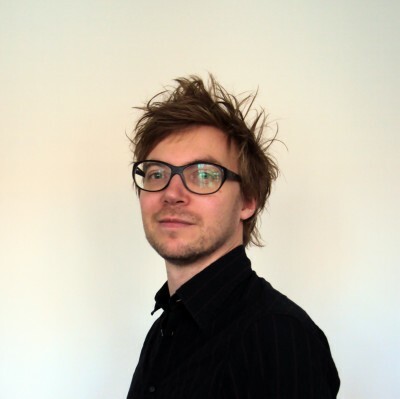 Søren Lundgaard joined Deadline Games in May 2000 as a Programmer and later Lead Programmer on Globetrotter 2 and Total Overdose. He advanced to Game Director in 2006 spearheading the Faith and a .45 concept. In 2008 Søren joined Deadline Games’ internal pitch team to create pitches and pitch them to publishers and Hollywood producers. In January 2009 Søren became part of the DADIU organization as a game consultant and caretaker of the content of the DADIU education. Rune Vendler is Game Director at Hapti.co – a Square Enix company. Rune has worked in the games industry for over 17 years on console games, mobile apps, browser games and much more. Before joining Square Enix he was lead programmer at Lionhead Studios, and still combines game design and programming today. SpilBar is initiated by Kristine Ploug from DADIU and Thomas Vigild from The Danish Game Council (Dansk Spilråd). SpilBar is organized in collaboration with Spilordningen, and Computerspilzonen. SpilBar 15 is kindly supported by The Danish Film Institute.